You will see the attraction of this island to everyone. This island calls to everyone. Young and old, rich and poor, active and sedate - everyone who comes wants to stay. 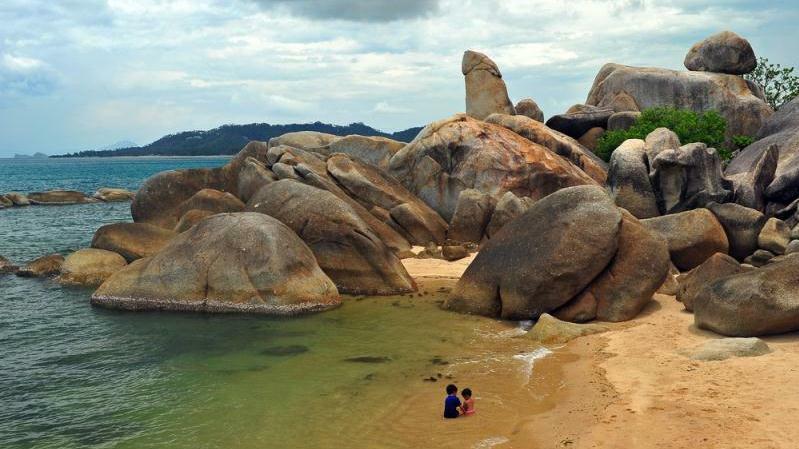 As you approach the island, you will see the attraction of Ko Samui which has brought people of every nationality and age and income level. It is magnificent and will be hard to leave. It is the place to see a variety of special highlights and perhaps go out of your comfort zone. Your Samui experience will begin at the top. First stop will be the Ladd Koh Viewpoint, which will familiarize your with the stunning island you are visiting. This panoramic view will highlight the famous Chaweng Beach, full of powdery white sand which contrasts with the clear blue seas and skies. Your next destination is on the southern side of the island to see the marvelous yet strange natural formation of massive sculptures. They are called Hin Ta and Hin Yai (nicknamed Grand Ma and Grand Pa) and they do often create some embarrassed chuckles but you will determine that yourself. Next up on this tropical visit is Wat Kunaram, where you will pay homage to the monk Loung Por Daeng who is mummified in a shrine on the island. Far from being frightened by death, most Buddhist Thais are highly accepting of the end of life as the natural order of things and they view death as an opportunity to be reborn into a better place, one step closer to nirvana. Loung Pordang believed the same and his last act was meditation. If you wish to pass on this while others visit the site, you can think about the entertainment next on your list, observing the monkeys in the coconut trees. The refreshment stop at Na Muang Waterfall provides impressive views of the 30 meter cascade to a natural pool below. Local fresh fruits durain, rambutan, mangosteen, etc. are available during for purchase based on the season. At the "Big Buddha" you will meet a large statue of Lord Buddha as it dominates a hill top on the small island which can provide the best bird's eye view around. - Please dress comfortably as this tour has some easy walking. - Please note there is surcharge pricing for all National and New Year holidays. Contact ShoreTrips with any questions. - You will need to provide your passport information at the time of the booking. - Please alert ShoreTrips in advance of any dietary restrictions. We will do our best to accommodate.